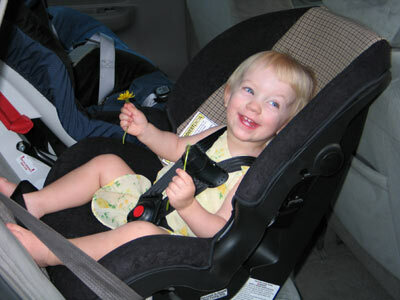 Kaitlyn, rear-facing in Britax Decathlon. Kaitlyn is 2 years, 8 months old, 34 inches tall and weighs 29.75 lbs. 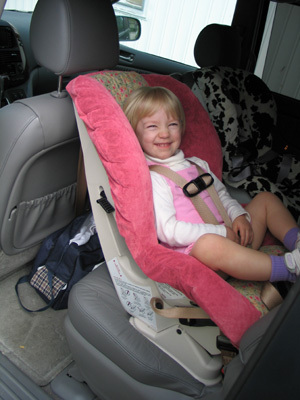 Kaitlyn, rear-facing in Cosco Scenera. Kaitlyn is 1 year, 8 months old, 31 inches tall and weighs 23 lbs. 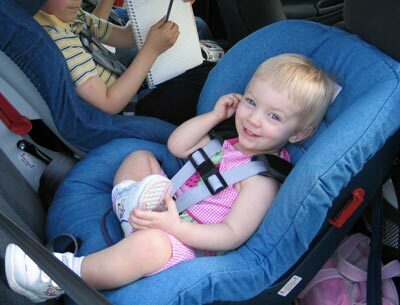 Kaitlyn, rear-facing in Britax Roundabout. Kaitlyn is 1 year, 7 months old, 31 inches tall and weighs 23 lbs.